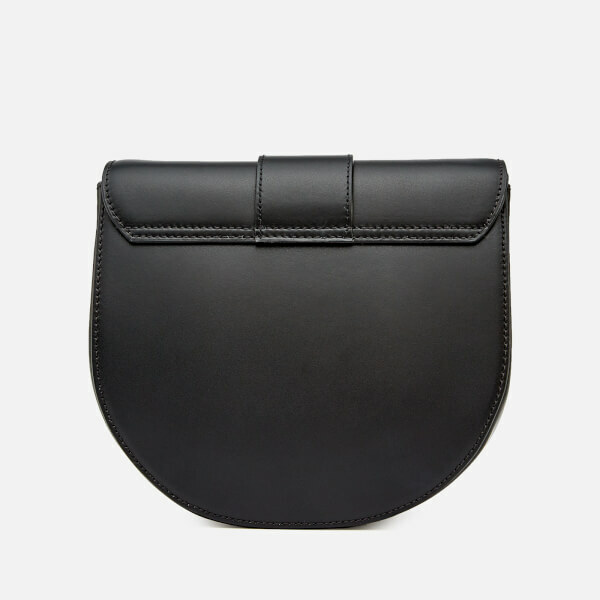 Vivienne Westwood black leather ‘Alex’ saddle handbag with a compact form. 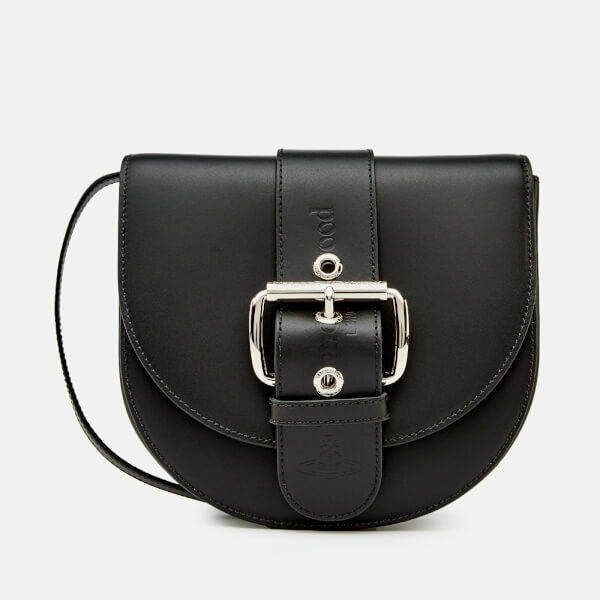 Crafted from smooth leather, the compact handbag is designed with Vivienne Westwood’s signature ‘Alex’ belt to the top flap and a magnetic closure. 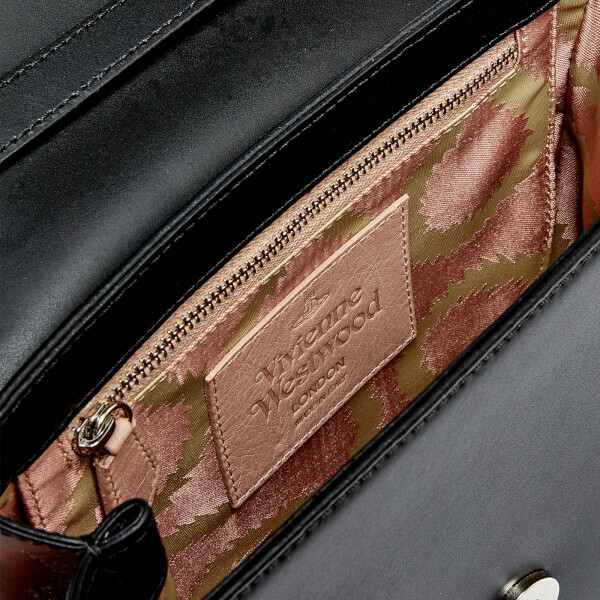 Lined with pink squiggle patterned satin, the interior of the bag features a secure zip pocket with a leather brand patch below. 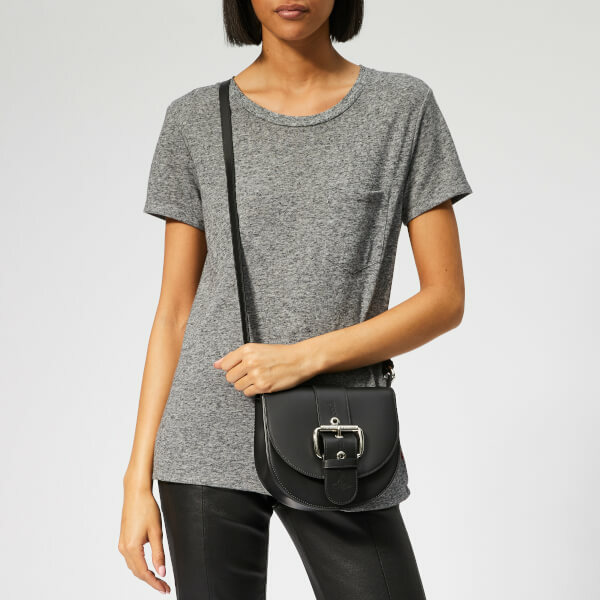 A detachable, adjustable shoulder strap enables the shoulder bag to also be styled as a clutch. 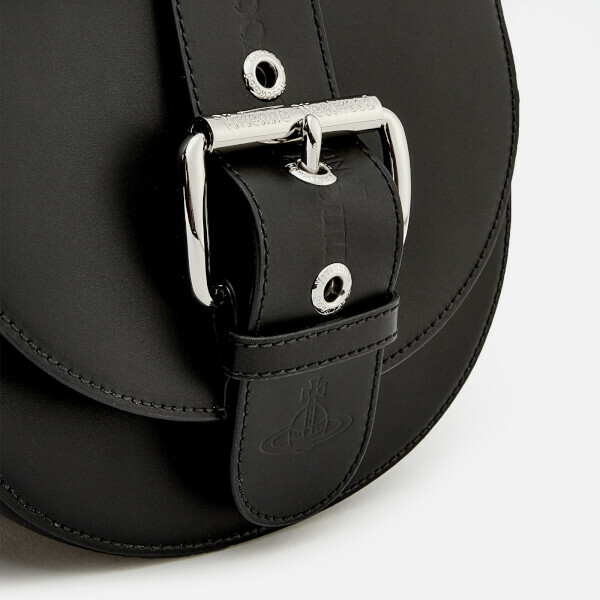 Complete with silver-tone, logo-engraved hardware, embossed branding to the belt and a branded dust bag. Dimensions: H: 17.5cm x W: 19.5cm x D: 8cm. Strap Drop: 59cm.